As a university teacher, I often taught La Fontaine’s “Chêne et Roseau” and would ask my students to provide a moral for La Fontaine’s fable. What did “Je plie, et ne romps pas” (I bend, and do not break) mean? They also said that it was about the mighty. They could break. Third, they commented on the underlying structure of fables and farcical comic texts, the formulaic “deceiver deceived” (“le trompeur trompé”). People who allow themselves to boast, even moderately, are punished. However, they did not see that “The Oak and the Reed” was about human behaviour and, in particular, about the importance of flexibility. He who bends does not break. The meaning of La Fontaine’s fables does not jump off the page. Earlier in the history of this fable, this moral, “I bend but do not break,” was expressed more explicitly. According to Wikipedia, such was the moral of Avianus‘ (400 CE) telling of this fable, and the moral of earlier Greek retellings. It is the moral expressed in Geoffrey Chaucer‘s (c. 1343 – 25 October 1400) Troilus and Criseyde, (II.1387-9) [EBook #257]. Moreover, this moral, “[h]e who bends does not break,” could be associated with a French seventeenth-century ideal, that of l’honnête homme. “L’honnête homme” or the concept of “honnêteté” was first described in Baldassare Castiglione‘s Il Cortegiano (1528), The Book of the Courtier, but Castiglione’s courtier underwent changes in Paris salons and in the works of the Chevalier de Méré, Nicolas Faret and Guez de Balzac. Trees have been rigid for a very long time, but they have not been oak trees consistently. 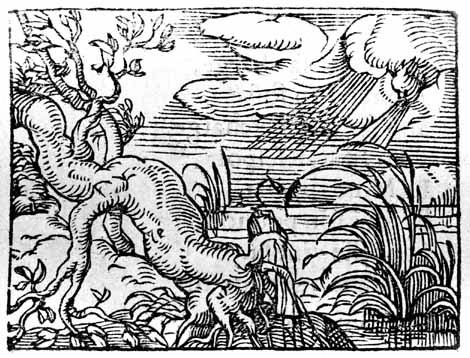 The Talmud features a cedar and fabulists Gilles Corrozet (1547), Gabriele Faerno (1564) Giovanni Maria Verdizotti used an olive tree. As for Swabian translator Heinrich Steinhöwel, he also used an olive tree. His 1480 translation of Æsopic fables is rooted in Avianus, Babrius (Greek) and Romulus (a 5th-century Latin-language fabulist). Romulus may be a legendary figure, which may also be the case with respect to Æsop himself. 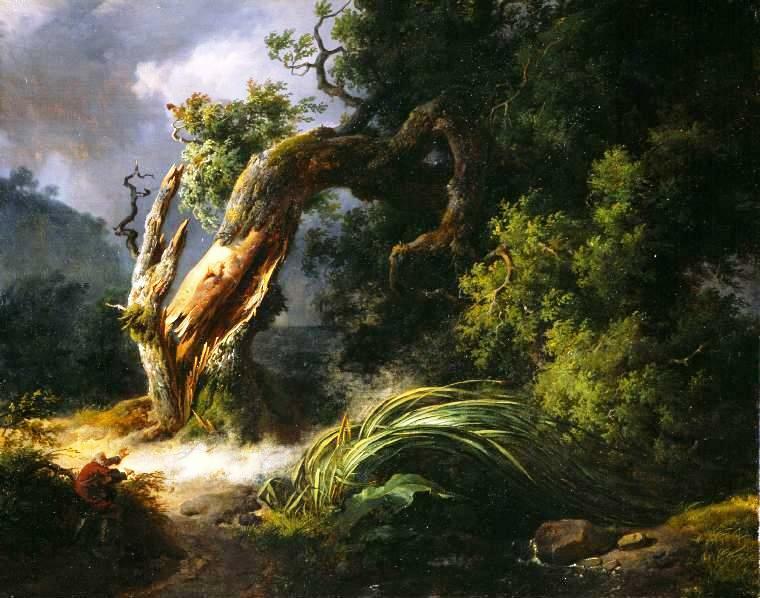 I must close, but the above illustrates the depth of “The Oak and the Reed,” its age, not to mention its universality. It is not only about the doomed pride of the mighty, but also about the flexibility humans require to function in society, under Louis XIV especially. 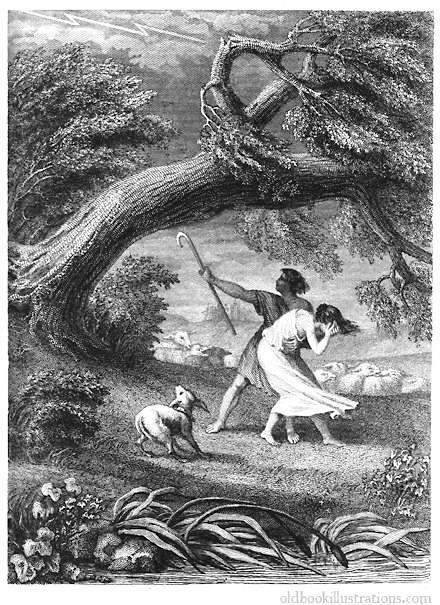 As for the ambiguity of its moral, it illustrates La Fontaine’s mute eloquence and may point to the Latin source of this fable. However talkative animals, trees and willows can be in literature, they do not speak. La Fontaine himself gave everyone the impression he was absent-minded and he was often referred to as a “bonhomme.” After Vaux-le-Vicomte, the fall of Nicolas Fouquet, he let animals, trees, willows and, at times, humans retell a fable that had been told for centuries and, perhaps, millennia. 28. The groundwork of this fable is in Æsop, and also in the Fables of Avianus. Flavius Avianus lived in the 5th century. His Æsopic Fables were written in Latin verse. Caxton printed “The Fables of Avian, translated into Englyshe” at the end of his edition of Æsop. [ii] If you can read French, you may wish to visit Larousse’s site: honnête homme. Patrick Dandrey, (2nd edition) La Fabrique des Fables (FR) (Paris: Klincksieck, 1992). Marc Fumaroli, Le Poète et le Roi. Jean de La Fontaine en son siècle (FR) (Paris: Le Fallois, 1997). Under the reign of Louis XIV (1638-1715), the Sun-King, Jean de la Fontaine (1621-1695) published twelve books of fables. The first book was published in 1668; the second, in 1678 and a collection, in the 1690s, shortly before La Fontaine’s death. Fables, as you know, date back to Antiquity. Let us mention, first, Vishnu Sharma‘s Sanskrit Panchatantra (Pañcatantra [Five Principles]), 3rd century BCE or much earlier times: 1200 BCE. Its Arabic version, entitled Kalīla wa Dimnah (750 CE), was written by Persian scholar Ibn al-Muqaffa. 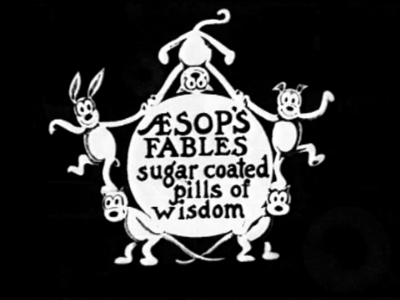 For most most of us, however, fables are Æsop’s Fables (c. 620-564 BCE) and they belong to an oral tradition. Æsop, if there ever lived an Æsop, was probably a freed slave from Samos, Greece. Fables are usually looked upon as children’s literature because most feature animal protagonists. Some fables may be intended for children, but others encompass the wordly-wisdom a prince should acquire. Moreover, fables may feature plants or human beings speaking with animals. The latter are called libystic fables. When reading “Le Chêne et le Roseau,” one may be reminded of Virgil’s Georgics (1st century BCE), but this fable is mostly a La Fontaine fable. As mentioned above, it was published in 1668 and is the last fable (number XXII) of La Fontaine’s first book of Fables. La Fontaine published a second book of Fables in 1678-1679, and a third book, in 1694 or somewhat earlier. 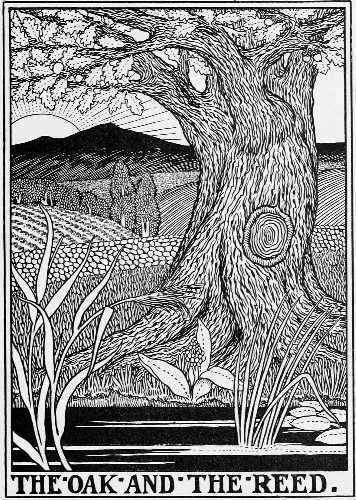 In “Le Chêne et le Roseau,” the Oak tree boasts to the Reed that he is strong and could protect the humble Reed from powerful winds. The Reed’s response is that “he bends” in the wind, “and does not break:” “Je plie, et ne romps pas.” As the two, the Oak tree and the Reed, are conversing, a devastating wind fells the Oak tree. As for the Reed, he is whipped back and forth by this ferocious wind, but survives. Fables are lessons presented in Horatian (Horace, 1st century BCE) fashion: “Prodesse et delectareˮ (To Delight and to Instruct, or plaire et instruire). 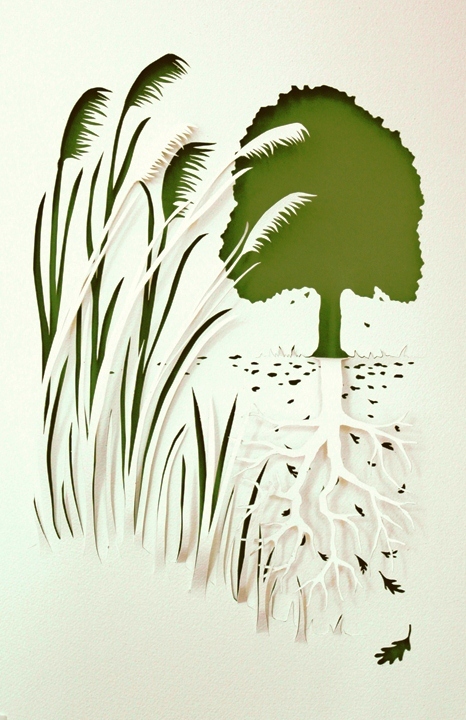 So a lesson or lessons can be drawn from “The Oak and the Reed,” (La Fontaine [I.22]) lessons for the prince. Usually, my students would respond that the oak tree is punished for boasting, which is a correct answer. Destiny being fickle and life, fragile, one should not boast. I would then remind them of the Roseau ’s statement: “Je plie, et ne romps pas.ˮ Not all of them could grasp readily that La Fontaine’s fable contained another lesson, one that could be useful for the prince or the man at court. Could it be that nothing has changed, that one must still accept compromises or otherwise be totally ineffective in any office to which he or she is elected. Ideally, the prince acts according to a set of principles. He knows, for instance, that he must serve his people, so he listens. He also knows how to serve his people. But, rigidity is an extreme that precludes listening and militates against both reasoned and reasonable leadership.